Commando presents Ramsey’s Raiders – in colour! For the first time in 57 years of Commando history the team at DC Thomson present a full sized reprint graphic novel in colour! Ramsey’s Raiders is the story of Captain James Ramsey and his motley crew in war torn German held Sicily – how will they survive? 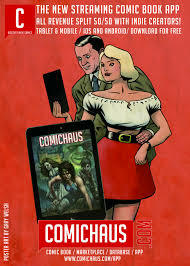 You can read more about this title and order on the DC Thomson website here. This exciting news follows on from the announcement of the Armistice specials ‘The Weekes’ War’ which you can read about alongside news on the current titles here. Our review of the first Weekes’ War can be found here. Commando and ComicScene UK have joined forces for a fantastic subscription offer for the title – check out the website here. This offer must end soon so order today!